I take an interdisciplinary approach to innovation and problem solving which allows me to break through knowledge and industry silos, learn from the future as it emerges, and, understand the evolving diversity of human lifestyles and experiences. Our ways of living today are more diverse, complex, and nuanced than ever before, because of this my approach to research intermixes design-led-research, foresight methodologies, qualitative research, and applied phenomenology, with the aim of providing people and organizations with a clear direction for building an equitable and sustainable world. Creating new social conditions and innovations in corporate cultures, cities, or communities requires new approaches to creative problem solving. To do this, I use human-centered design, a collaborative, cross-disciplinary, and systems-oriented approach to design and problem solving. 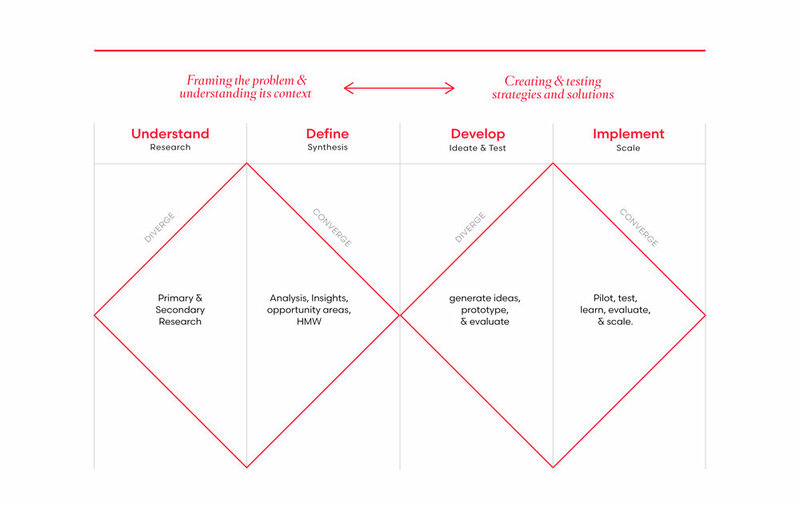 In my practice I use this to frame problems, understand complex systems, imagine alternative futures, draw insights, and develop outcomes that are socially impactful, sustainable, and scalable. Today’s complex challenges present new risks and opportunities for businesses and organizations. Through the use of interdisciplinary research, cross-sector collaboration, and systems thinking I help businesses and organizations find opportunities that meet the needs and context of the 21st century. Ultimately, by focusing on addressing business, social, and environmental needs, my aim is to catalyze systemic change and enable the creation of an equitable and sustainable world. Shaping the future and creating large-scale sustainable transformations requires deep listening, mass collaboration, new approaches to leadership, and the understanding and inclusion of diverse cultures and objectives. Whether using facilitation processes with external stakeholders or leading an internal team, today’s leadership must be based on trust, empathy, and openness. As a leader and facilitator I use a mixture of new thought-leadership, theory U, and human-centered design processes to help drive individual and collective transformational change. A methodology for innovation and creative problem solving. In my practice, I take a collaborative, systemic, and cross-disciplinary approach to human-centered design in order to correctly frame problems, understand the context and people I’m working for and with, draw insights, and, from here develop strategies, products, services, or systemic interventions for businesses and organizations. A change management framework and methodology created by Otto Scharmer. Theory U sits at the intersection of science, consciousness, and profound social change. At the gist, the framework is based on the idea that “the quality of results produced by any system depends on the quality of awareness from which people in the system operate”. In my practice, I draw inspiration from the Theory U methodology to design and facilitate processes that effect deep change.